Please ignore unsolicited mail that seems to come from nghenvironmental staff. You may receive mail that advertises 'partnership in an environmental organisation' or similar. This mail does not come from nghenvironmental. 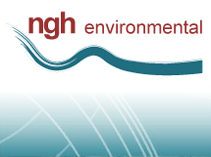 If you look carefully at it you will see that reply addresses and any hyperlinks link to obscure sites, not www.nghenvironmental.com.au. Unfortunately we cannot prevent this from occurring. Please delete such mail. All content is copyright 2009-2013 nghenvironmental.